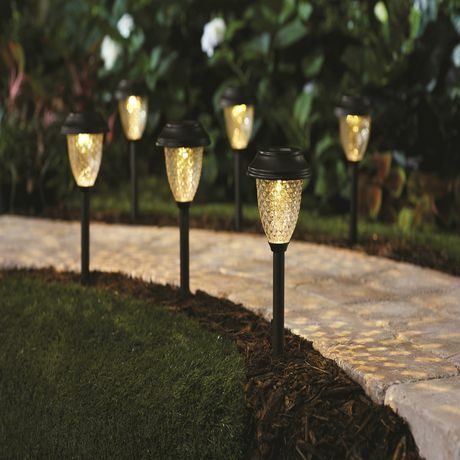 Illuminate your outdoor area with these Mainstays Solar pathway lights. 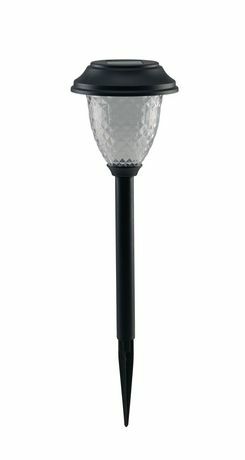 Each lights contains 5 lumens of power, with no wiring required. 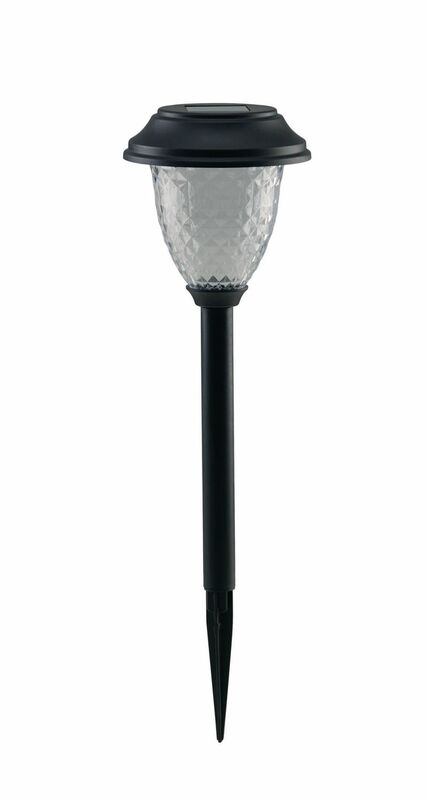 They are ideal for lighting up your driveway, garden, pathway, campsite, treehouse and more. Easy to install, they are powered by rechargeable batteries (included). Give them direct sunlight to charge fully then watch them work!